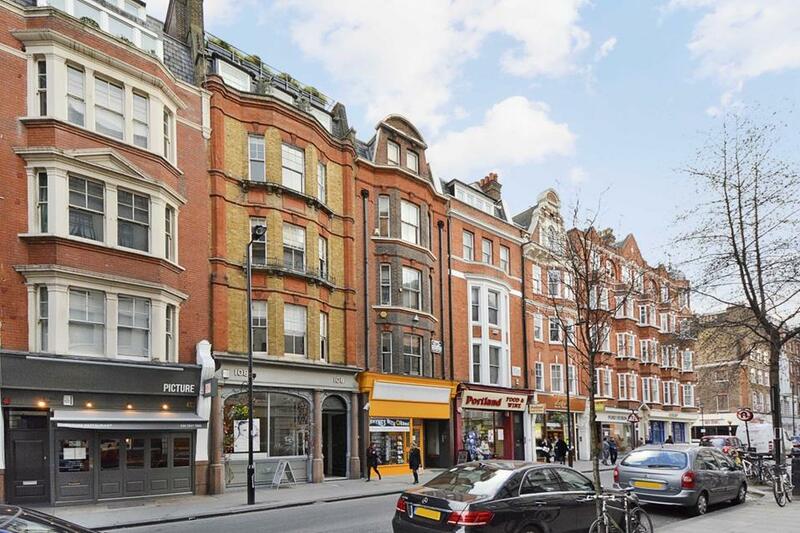 Rare to the market and enviably located on one of Islington's most desirable streets in the heart of the Canonbury Conservation area, is this charming and beautifully updated one bedroom apartment. Situated on the lower ground floor of this elegant, period terrace and entering through your own front door, complete with brass lion knocker, you find yourself in the airy living/dining room with lovely oak wooden floors and cosy wood burning stove. 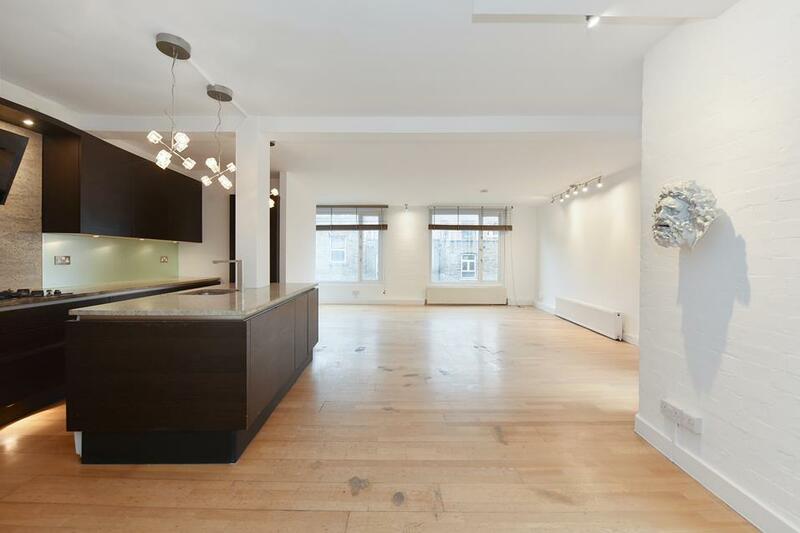 Off of this is the chic modern kitchen with built in appliances including electric hob and fridge freezer. The second fireplace has been opened up and is currently used as a convenient and stylish wood store. French windows off of the kitchen lead onto a private, south west facing, terrace, which in turn leads out to the mature bordered, communal garden. The attractive bedroom complete with built in mirrored wardrobes and finished in Farrow and Balls' Stiffkey Blue benefits from a large tastefully tile and chrome en-suite bathroom with a wonderful walk-in shower. Highbury and Islington Station (Victoria Line and Over ground) is a three minute walk away and there are numerous busses for easy access into the city. You are spoilt by the many critically acclaimed restaurants, bars/pubs and Theatres only a short walk away including Trullo, the Canonbury Tavern and the Almeida Theatre. 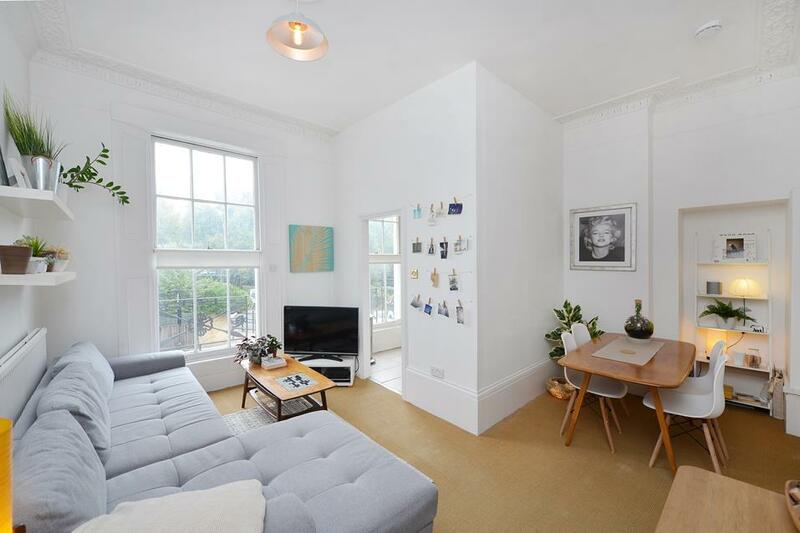 An exceptional one bedroom period apartment. Viewings highly recommended.